130. 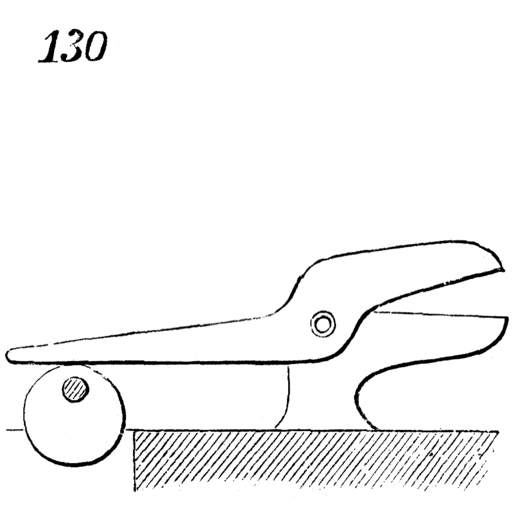 Shears for cutting iron plates, etc. The jaws are opened by the weight of the long arm of the upper one, and closed by the rotation of the cam.